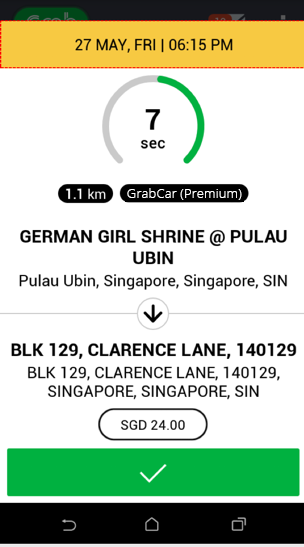 Grab is now beta-launching our ‘Advanced Booking’ feature, exclusive to GrabCar Premium drivers. Get more trip requests, increase your earnings and experience less downtime! Please ensure you always arrive at the pick up point on time for your scheduled booking (at least 5 minutes prior to pick up time). If you are suddenly unable to pick up the passenger, please be considerate and notify them or our customer service as soon as possible so that the passenger can make alternative arrangements. Advanced bookings can be made up to 7 days in advance and no less than 1 hour before pick up time. We expect lots of passenger demand, for airport transfers, and for important client meetings. 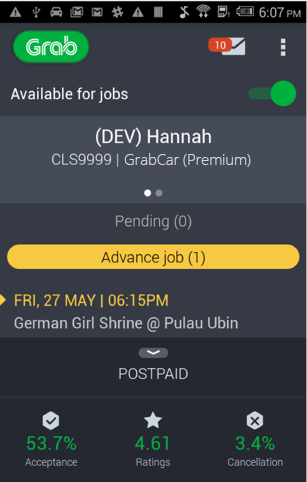 Usual Grab commission and cancellation policy (e.g. Cancellation Rate) applies for Advanced bookings. 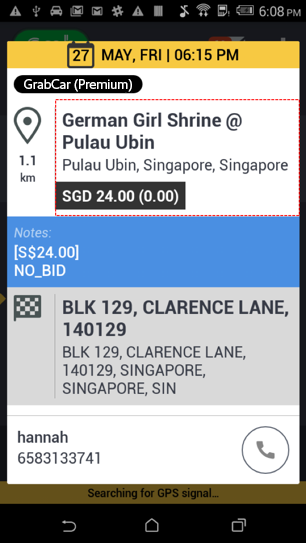 Jobs outside of Singapore are not allowed. Grab reserves the right to withdraw, amend and/or alter any part or the whole terms and conditions without prior notice.